As the trade in conflict gold increases, now is the time for the Obama administration to have a major impact. The U.S. should work with the U.N. Security Council to place targeted sanctions on the owners of alleged gold smuggling companies in Congo, Uganda, and Dubai. This would deal a major blow to mafia-like smuggling networks and ease the suffering of gold miners on the ground. The United Nations Group of Experts has named five major smugglers in Congo, Uganda, and Burundi who control a significant portion of the conflict gold trade. These smugglers continue to operate today despite U.N. and U.S. sanctions. Because the sanctions are against companies, not individuals, smugglers are able to simply set up new companies and continue operations. To stop this cycle, the U.S. and U.N. must sanction the owners of the companies themselves, so that whatever company they set up is automatically sanctioned, until their practices are reformed. Based on the Enough Project’s multi-year research on the conflict gold trade, there are two other key parts to the solution to conflict gold. First, jewelry companies have an opportunity to create solutions on the ground in Congo by stemming the problem at its root and cutting out the warlords. 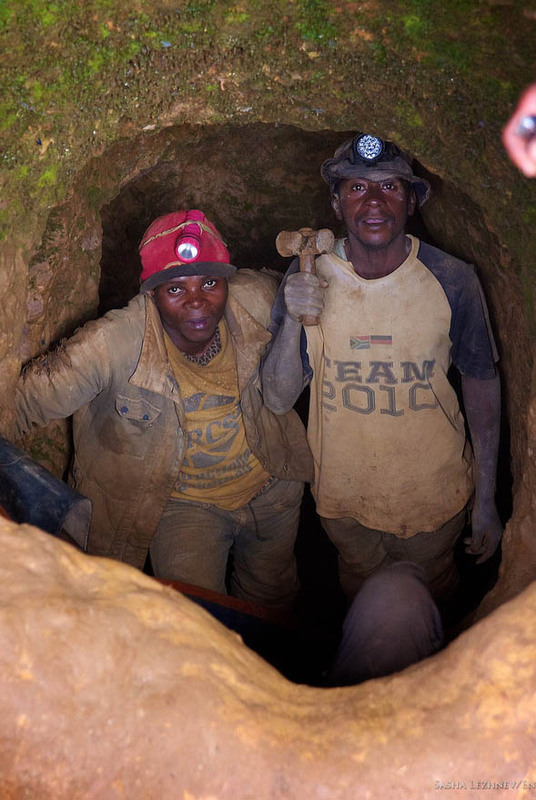 Following the Solutions for Hope project by Motorola Solutions and the Conflict-Free Tin Initiative that source clean minerals from Congo and have increased benefits for mining communities, jewelers should source conflict-free, responsible gold from eastern Congo by partnering with refiners, mining companies/cooperatives, and/or fair trade groups. The electronics companies have proven this is possible. It is now time for jewelers to create a Solutions for Hope-like project for gold. Finally, the Obama administration should take a leadership role in partnering with the Congolese government and NGOs to help formalize the region’s trade, making it more difficult for armed groups to smuggle and profit from conflict gold. This would build on successful projects such as the USAID PRADD program, which has helped formalize artisanal diamond miners and increase revenues. Read more in our activist brief on conflict gold, which will be followed in the coming months by a more comprehensive paper on solutions to conflict gold. The Wall Street Journal article neglects to mention the role of refiners, banks, and jewelers in the conflict-gold supply chain. Once the gold leaves Dubai, export records show that it is either exported to Switzerland or India. From there, it goes on to banks, which store it in vaults, and then to jewelry manufacturers and retailers in North America and Europe. The article mistakenly states that the Dodd-Frank legislation is making the conflict minerals trade more lucrative for armed groups. In fact, the opposite is the case. The legislation has made it significantly more difficult for armed groups to earn money from the tin, tantalum, and tungsten, as profits are down approximately 65 percent from previous years. For gold, the legislation is setting the wheels in motion for a solution. While the trade may have increased over the past few years, this is directly related to the increasing price of gold, which has doubled over the past five years from $25,000 per kg to $50,000 today, not the legislation. The legislation has spurred numerous reforms to stem the trade, notably the multi-stakeholder coalition of mining companies, refiners, jewelers, governments, and NGOs through the Organization for Economic Cooperation and Development, or OECD, to adopt due diligence guidelines on conflict gold; the World Gold Council to adopt conflict-free gold standards; and the London Bullion Market Association to partner with the electronics industry to audit gold refiners, due to take place in 2013-14. On the ground in Congo, companies are beginning to conduct due diligence and place a greater amount of their trade in the formal trade, but these initiatives are only a beginning, and much more must be done. The key point is that these positive steps were spurred by the Dodd-Frank bill because of reporting requirements for companies. In turn, it is through Dodd-Frank that we have a chance to resolve this critical problem of conflict minerals. Although we applaud each of these various initiatives, jewelers and refiners, in particular, should go further to directly source clean, transparent gold from eastern Congo and cut out the warlords and their mafia-like networks.